The IPAQ 520 DEMO KIT is the optimal set to demonstrate the functionality of the new IPAQ 520. Together with INOR’s windows application the different features can easily be demonstrated, both setting the parameters as monitoring the measurement. The built in auto identifier will make it easy to start up the demonstration and the help function will guide you through the different functions. Since the transmitter doesn’t need to be powered up externally the demonstration can take place almost everywhere. 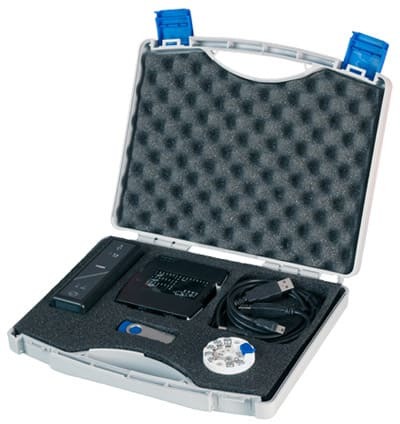 The IPAQ 520 DEMO KIT is a complete kit for PC configuration. Communication with the connected transmitter is established automatically without any problems to match the PC communication port to the software.